This year the required spend amount did increase from $65 to $69; but the value of the bag has increased by almost $50, so I'm not too fussed about spending just a few dollars more. The bag itself is... not great. To be honest, the quality of the bag is actually really good, but the design is not my style whatsoever. But I'm sure I can find someone who will want this one. All the products together. 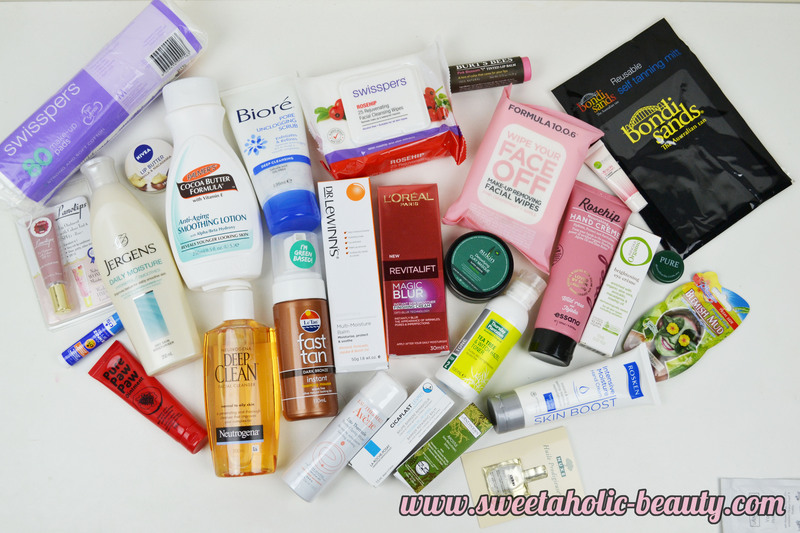 So much new skincare to try out! 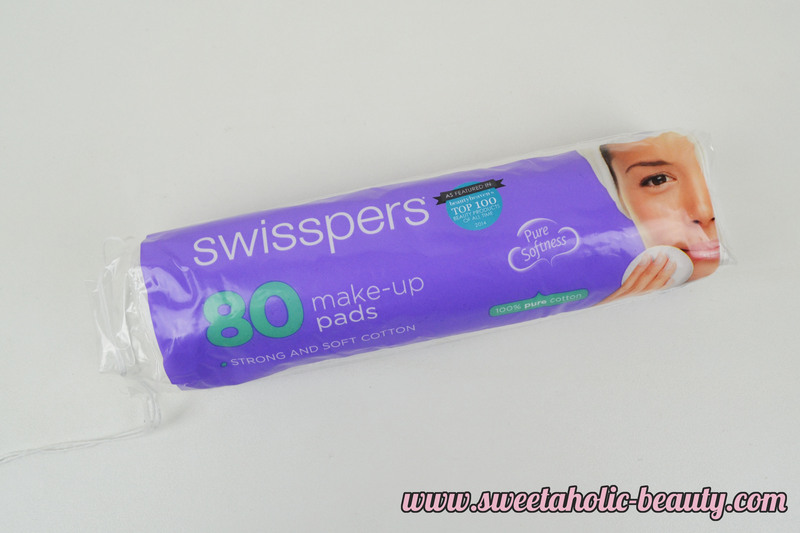 I have tried the Swisspers wipes in the past and I've liked them, but I haven't tried the Rosehip version just yet. I always use cleansing wipes, so these will definitely get used. I've never actually tried any of the facial wipes from Formula 10.0.6, which is strange as they are one of my favourite skincare brands. This one is in Pink Grapefruit and Apple, which sounds like it would smell amazing! I can't wait to try these ones out. I've seen so much hype around this brand, and I've really been wanting to try them out. I thought they only did rosehip oil, so I'm really excited to try this hand creme in Wild Rose Jojoba. I can imagine this would be super nourishing, so will go great this winter. 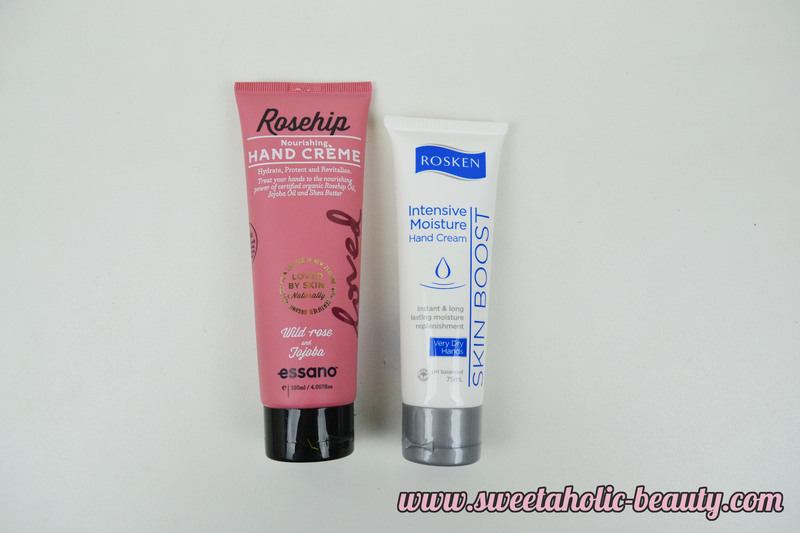 I haven't tried anything from Rosken in ages, so I'll be interested to see what their products are like now. I'm always in need of hand cream, so these things are always appreciated. Since Jergens arrived on Aussie shores, I've been wanting to try them out pretty badly, but have been super lazy in getting my hands on them. Luckily a daily moisturiser was included in this bag, I can't wait to start using it and let you all know what my thoughts are! I've tried a lot of Palmer's Cocoa Butter Formula goodies recently, but I haven't tried this lotion yet. I like the idea of anti-aging, as while I'm not exactly middle aged yet, I'm not in my teens anymore! You can never start using anti-aging skincare too early, anyway. 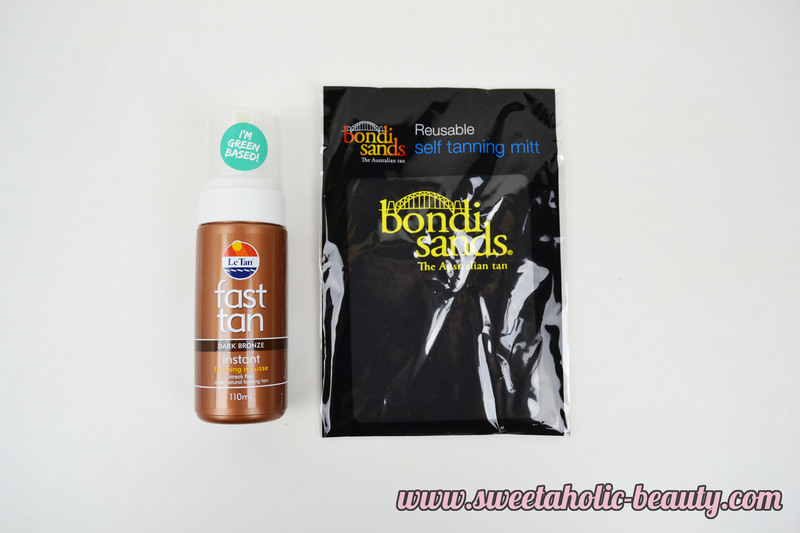 Although I'm not super interested in tanning products, I do appreciate receiving it. I will probably pass this one on to somebody else, as I'm fairly pale and I usually use tanning products that aren't listed as "dark." I actually have one of these already, and rarely use it! But it's always good to have one as a backup. Even though they're reusable, they probably don't last forever. I feel like I haven't used Biore in ages, so I'm a tad excited to receive it in this bag. I love this particular scrub too, so this will definitely get used up! I've actually tried this cleanser before, and I do remember liking it. 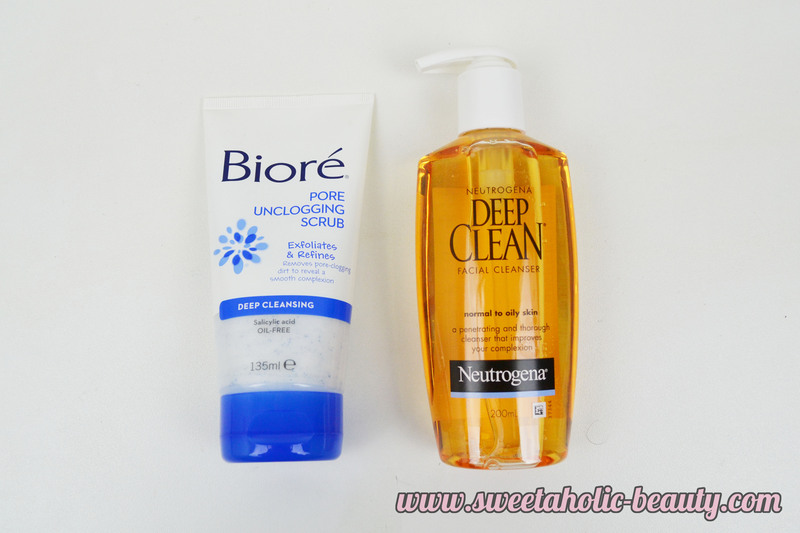 I'm always in the market for a new cleanser anyway, as I go through them so quickly, so always appreciated. You can read my original review here. This sounds like a super interesting product. At first I thought this was just a moisturiser, but you can use this as a lip balm and a makeup remover, and a few other interesting uses. I can't wait to try this one out - expect a review on the blog, too. 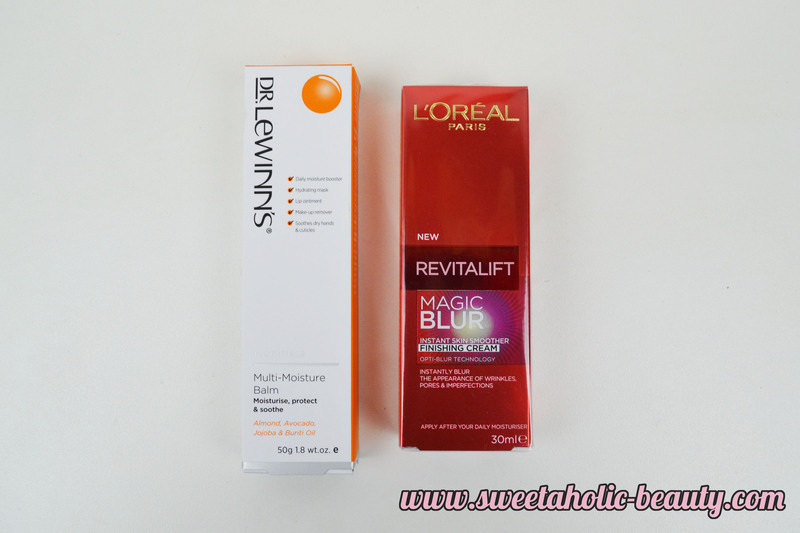 I've tried a few other "blurring" products and I find they work wonders on my skin, so I'm keen to try out this one from L'Oreal. I'll more than likely do a review on this one, or even a comparison post. I've been really excited by the Innoxa Organic range, so I can't wait to try this one out. I've been needing an eye creme lately as well, so I'm glad to have received this. I hadn't actually heard of this product beforehand, so I'll be interested in trying this one out. My skin is pretty dull these days, so I will probably benefit from this one a lot. I absolutely adore masks, especially clay masks, so I can't wait to try this one! I'm really excited and will probably do a review to let you all know my thoughts! 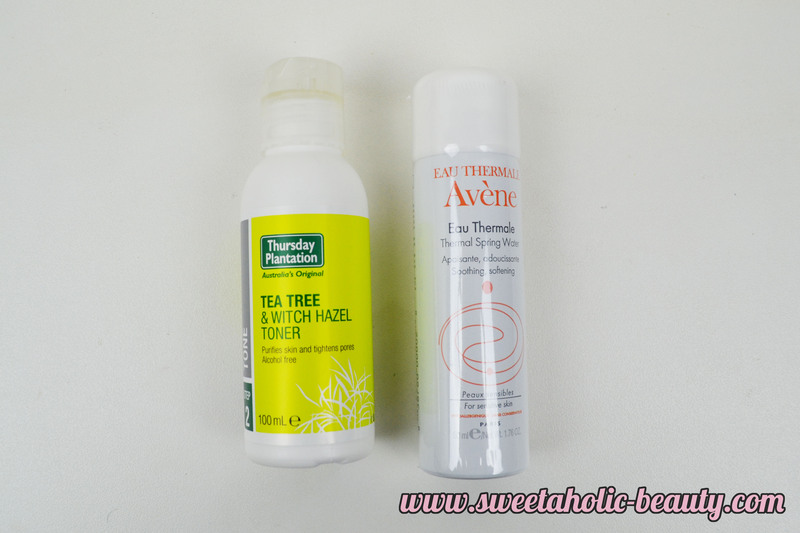 I've been loving products with tea tree in them at the moment, so I'm so pleased to see this in the bag. This one leaked a little bit sadly, so I did lose a bit of product. Ahhh Avene again. No Priceline Skincare Bag is complete without this little gem. Enough said. Once I deciphered all the French writing, I was excited to receive this. My lips get super cracked and chapped during winter, so I really want to try this out and see how it goes. Expect a review. 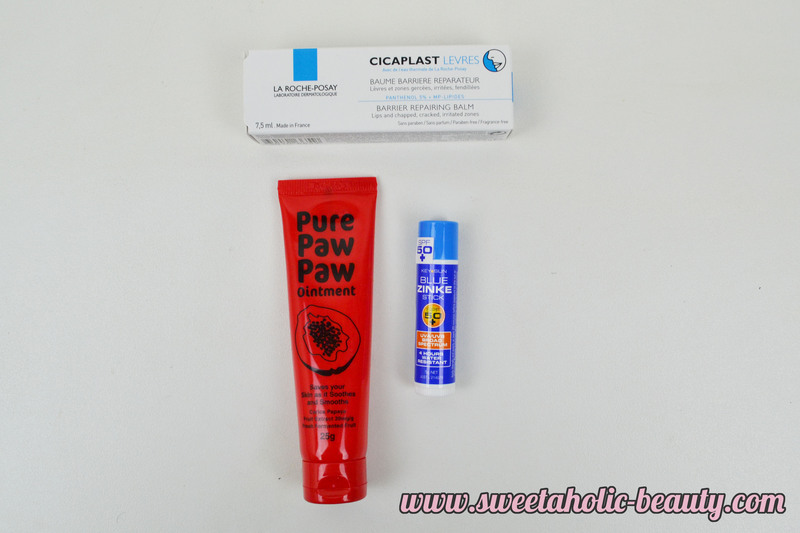 Paw Paw ointment is always a good thing to have in your skincare collection. It's a great all rounder, and it's something you can use for pretty much everything. This is so cute, and what a great idea. It's a little zinc stick and is SPF 50+. This will be the perfect addition to pop into my handbag for summer. I have a few Lanolips products, but have never really tried them. This one looks very cute though, the colour is very neutral and lovely. This is such a cute lip balm! I love the design of the packaging too! My absolute favourite makeup pads since Priceline stopped selling their in-store brand. So happy to receive this as I was just about out! 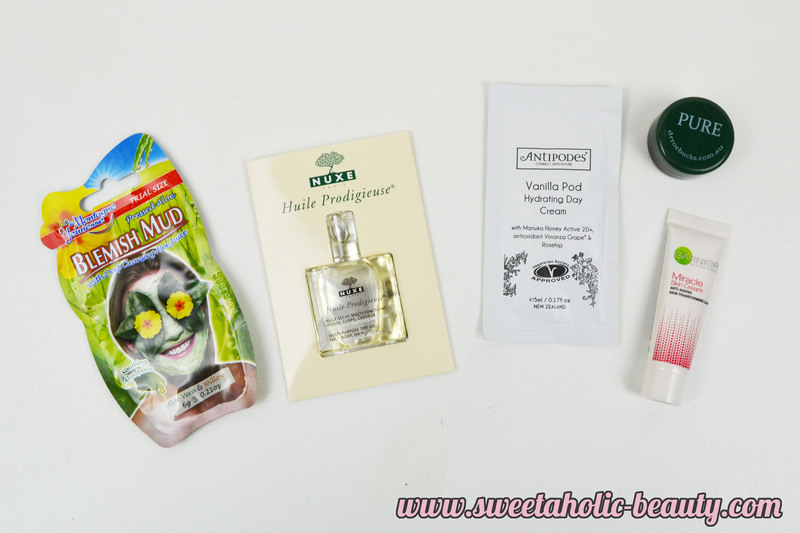 A fair few deluxe size samples, and only two sachet samples! I'm pretty happy with these ones. 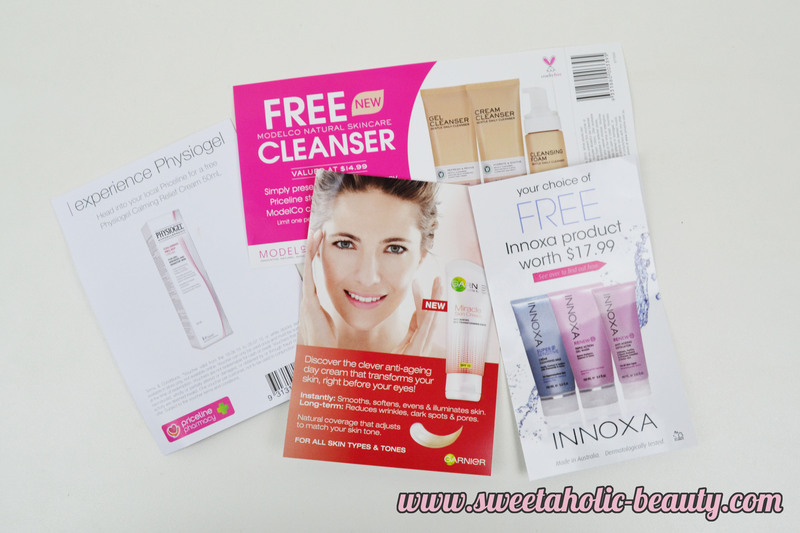 There were four coupons in my bag for a few different products that I'm actually keen to try. I'll need to make another trip to Priceline soon to grab these! I decided to pick up a few things, which are all repurchases but one. I picked up another bottle of Bioderma while it was on sale, as I've been loving my current bottle. It's been a little while since I've used the Garnier Body Tonic Smoothing Scrub (it used to be called something different; just goes to show you how long ago it was I used it) so I decided to pick it up again. I fell in love with the Formula 10.0.6 Dream Clean Cleanser last time I received it, so I thought I'd buy another tub and give it another go. My most used mask at the moment from Palmer's Cocoa Butter Formula is their Purifying Mask. This is a backup for my other tube that's almost finished. New product for me is the Nuxe Reve De Miel Lip Balm which I've heard great things about, so stay tuned! Overall I'm really pleased with the contents of this years Priceline Skincare Bag. I think that it was well worth the money, and the sales also made it incredibly worthwhile. 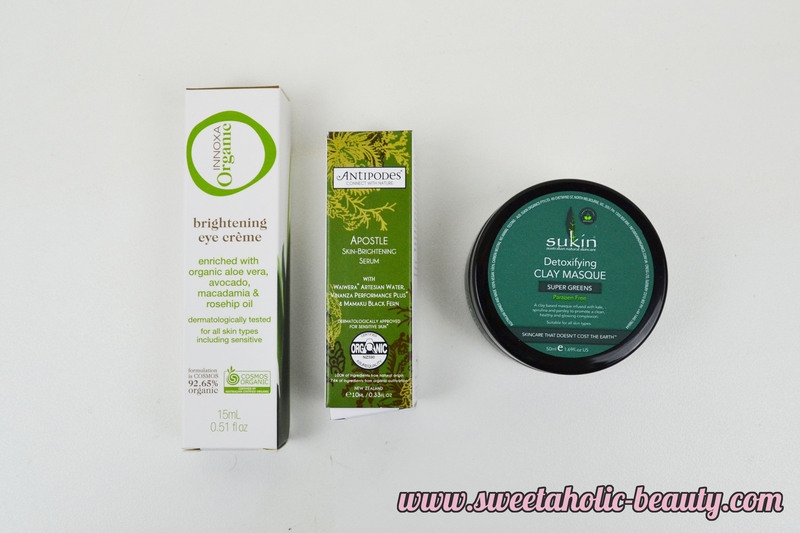 I can see myself loving a lot of these products, and I don't really want to give away anything this time around. This one is definitely a step up from previous years. Have you purchased the Priceline Skincare Bag yet? If so, what are your thoughts? Do you think this is worth the money? Is there anything in particular you'd like to see reviewed? It's honestly such a great value bag! I'm always tempted to pick up more than one! Another great skincare gift bag from Priceline! Lucky you getting the swisspers rosehip face wipes, they sound great, I just got the plain ones. 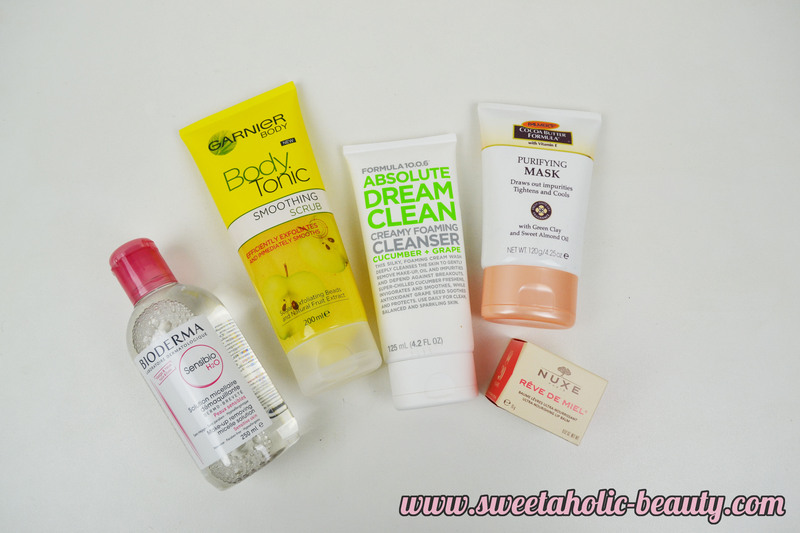 This is such a great bag full of goodies I use all the time! Good value for money definitely. Loved this bag!! This is the first goodie bag I bought from Priceline in many years! 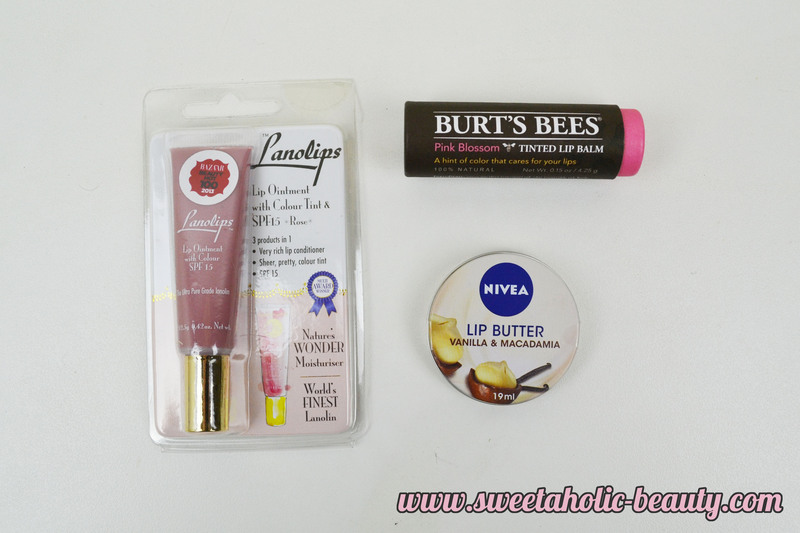 This was such a great goodie bag :) FYI the Nuxe lipbalm is a great overnight one, but it's thick and is grainy, so I never wear it outside of the house. moment but I'm sure I'll regret it once they're sold out! Wish I picked up this one! It was one of those between pay week, weeks and couldn't justify picking up anything worth $69. Major regrets now though haha! The bag was so great this year! I ended up going half with a friend - I did not need that much skincare plus I didn't need to buy very much haha :P I love all the stuff I got though!